Applying wax onto your snowboard serves a number of purposes. 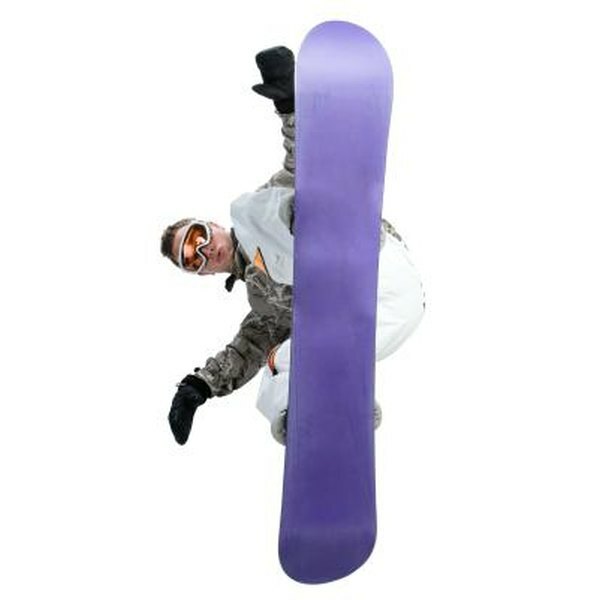 It allows your snowboard to move more freely over snow, giving you greater speeds. It also protects your board from damaging sub-zero temperatures. A waxed board will give the operator greater control over movement as well. If you have ever wanted to reduce the cost of buying ski and snowboard wax, you may consider making your own. Ski and snowboard wax can be made at home, using the right ingredients and a little foresight. Run the bar of soap over the cheese grater. Grate the entire bar into flakes and place them into a bowl. Remove the wicks from the unscented votive candles. Use a knife to split the candles in half. Pull out the wicks from the center of the candles. Place the spruce resin into the double boiler pot and heat it up. Use an outdoor stove if possible. If not, be sure the indoor stove is in a well-ventilated area as the resin fumes are harmful. Place the candle halves into the double boiler with the resin. Add one half at a time, allowing each to melt before adding another. Stir the mixture well between adding candle halves. Skim off any impurities from the top with an iron ladle and place them into a bowl. Pour in the soap flakes slowly. Add the flakes gradually to the mixture, a small amount at a time. Constantly stir the mixture while you are adding the soap flakes. Add the mixture into a blender while it is still hot. Mix the contents thoroughly but quickly, so the wax does not have time to harden in the blender. Pour the blended mixture into a bowl. Allow several minutes for the solution to cool. Use the iron ladle to again remove any impurities from the top of the solution. Place the bowl of wax into the freezer. Allow the mixture to harden overnight. Remove the hardened mixture from the freezer. Cut the wax into small sections as desired to fit into your gear bag or pocket. Apply the wax to your snowboard as normal. Do not let the solution get too hot in the double boiler. If fumes are extremely problematic, reduce the heat setting. Use extreme caution blending the hot liquid in a blender. Hot liquids can explode when blended. Consider blending your solution in small batches. Keep a class B fire extinguisher nearby while making this recipe. Located in southeastern Kentucky, Charles Judd began writing semi-professionally in early 2005 for local publications. His work has been published in his hometown newspapers, the "Jackson Sun" and the "Jackson Times." He has many diverse interests and enjoys writing about various subjects. Charles holds a Bachelor of Science in industrial machine technology.